Aamir Khan's brother Faisal to make a comeback in Bollywood soon. Aamir Khan's brother Faisal to make a comeback in Bollywood soon. 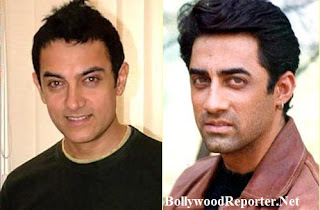 Home > news > Aamir Khan's brother Faisal to make a comeback in Bollywood soon. Aamir Khan's brother Faisal to make a comeback in Bollywood soon. Superstar Aamir Khan's brother Faisal was last seen in Aamir's well known film "Mela" & than he disappeared from industry. Now after 9 years he is gearing up his Bollywood career with "Chinar-Daastan-E-Ishq". It is said that, the film is ready to release and will be released soon after getting Distributor on Board. Faisal said at the special screening of Bajrangi Bhaijan where Aamir was also present, "We are planning to start showing the film to Distributors and once someone takes it, It will relese immediately." The film is directed by Renzu Shah and is inspired from a novel named Jheel Jalti hai (Lake Is On Fire) and Faisal will play the character of Jamal. According to the makers, It is the first film of Bollywood in over 25 years to exhibit Jammu and Kashmir without the backdrop of Terrorism and conflict. If the film becomes hit and if the Almighty wishes Faisal will definitely focus on acting for few years. Currently his entire focus is on acting and then he would also like to try his hand in direction later on.